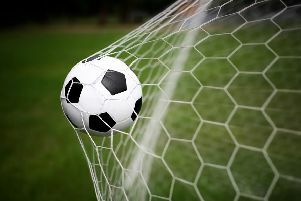 A big win for Lavant, a draw between East Dean and Fernhurst and a Chichester Charity Cup victory for Unicorn Utd feature in our latest round-up from the West Sussex and Chi & WS Sunday League. Reports below- why not follow in these teams’ footsteps and send in your match report and team picture for publication on this website and in the Observer? Lavant put in their performance of the season so far against a much-changed Henfield side. They came out of the blocks like Usain Bolt and were well into their stride pressing high and using the ball well. This aspect of their play has been absent in previous weeks and the coaching staff were delighted to see it return. It wasn’t long before the in-form Dan Baker opened the scoring with an astute finish from just inside the area, his shot nestling into the bottom corner – nothing more than the home team deserved. Lavant added a second through James Sandford after good link-up play with the impressive Baker, who then grabbed his second and Lavant’s third after the ball dropped to him in the area and he confidently struck home. Then came a potential turning point, a penalty to Henfield and a soft one at that – they converted it to make it 3-1. Having seen out the first half, Lavant started the second as they did the first and within minutes extended their lead with Sandford scoring a neat sidefooted volley for his second after great wing play by Peter Caveney. Aaron Hancock got in on the act after being played in and slotting under the onrushing Henfield stopper. Baker completed his hat-trick with arguably the goal of the game. It was a real team goal, with sustained possession and passing eventually finding Baker 20 yards out and his sumptuous effort gave the keeper no chance. Lavant: Court, Gabb, Jones, Lyttle, Wright, Stevens, Augustus, Hancock, Caveney, Sandford, Baker. Subs: Cieszynski, Hawkes. Fernhurst were the better side in the opening 20 minutes but couldn’t take the lead. Midway through the half, East Dean opened the scoring – the first time they had done so this season – with Zach Dray rounding the keeper from Ross Chandler’s through-ball. The second half was similar, Fernhurst creating more chances leading to them finding an equaliser. James Ford restored East Dean’s lead, winning the ball on the edge of the box and slotting home. Shortly after Fernhurst equalised again. Nathan Freeman blocked the first shot, but the striker’s overhead kick from the loose ball found the net. Chances were created by both teams towards the end, but neither could steal the three points. East Dean; Ferre, Chandler, James, Freeman, Manchip, Barlow, Clark, Richards, Shewell, Ford, Dray. Subs; Sedgwick, Pett, Skeites, Stanley. Unicorn did not show any kindness to their neighbours as they crushed the Lamb Steyne to reach the quarter-finals of the Chichester Charity Cup. The Lamb parked the bus on their home pitch at Jubilee Fields from the start and although that policy worked until half-time they were unable to maintain their defensive resilience. Alex Barclay, who linked effectively down the right all morning with Tom Simmons and Dan Coles, broke the deadlock with a 20-yard strike which took his tally for the season to seven. Man of the match Sam Dallaway scored twice to put the tie beyond the hosts. Unicorn captain Sam Misselbrook even missed a penalty as the visitors dominated the second period and the Lamb gained their consolation with the last kick of the game though a shot from Dan Rose.